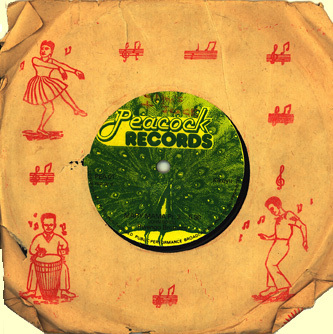 While Muzikifan is a non-commercial site, I heartily endorse the work of Fred Lavik who is dusting off some rare East African 45s and bringing them to light, both as music samples on his blog and as actual artifacts for sale, to those who can afford them. I conducted an interview with him, by e-mail. archives & do not represent Afro7.net stock) Muzikifan: We have a lot in common: we are both graphic designers and deeply interested in African music. How did you get started on African music? Lavik: Me and my wife love to travel and I like record digging, so wherever we go I have my mind to get my hands dirty. My Uncle has a special connection with Kenya so we've been there two times. First time I came home with a few records but the second time around I was really lucky and found a lot. So this has set the foundation for the afro7.net webpage. The deeper I go into it the more I want to hear. I had been listening to West African compilations before but I always wanted the challenge of finding something that hadn't been "found" yet. Muzikifan: Is there an African music scene in Finland? Do bands tour? Muzikifan: How long have you been collecting vinyl? And how did you get so immersed in East African 45s? Lavik: 15 years I gather, my interest in East African 45's started when I found that bulk in Kenya on my last trip. There wasn't any option really but to go deeper into the lot both aurally and visually. Sort them, clean & listen. 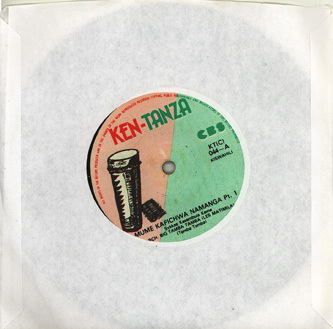 As in Kenya the 45 vinyl was king, few full length records LPs were pressed. There is astonishing range of exciting handmade logo designs to study as well, and a ton of music. A lot of it is quite primitive, there is a lot choir stuff, and some very standard Benga of which 90% sounds just the same. A lot of Congolese music as well. And In-between there are some really good ones. Muzikifan: The Kenya Special project from Soundways is astounding: the quality, range of music and depth of it is mind-boggling; how long did you work on this? Lavik: It would be too much in my current situation to embark solo on a project like this. So it was very natural to say yes to do a compilation when Miles Cleret contacted me. We basically went through all the stuff we feel could work for a full-bodied compilation, and try to find something unique ... and emphasize something that had roots in Kenya. Instead of flogging off with some James Brown or disco-sounding gimmick. Muzikifan: Did you find the archival photos as part of your collecting or did they come later when the project was getting in shape? Lavik: Emmanuel Mwendwa did all the leg work for the photos and stories behind the tunes. They came later when the project was in its last year. Muzikifan: There is a wonderful time-capsule quality to Afro7, like these records have been forgotten or in storage for 40 years. How do you add to your stock at Afro7, or is that a trade secret? Lavik: I work in a company that delivers e-commerce solutions so that initiated the effort to make a website that had something for the African record collector, and something that would look nice and catch the eye. Of course there is a limitation to what you can write about certain pieces of music when you don't have any background on the artists or don't understand the language. Anyways the web site uses wordpress and a woocart solution. Muzikifan: Do you have any plans to expand to Central or West Africa? Lavik: I think there already sufficient blogs and labels concentrating on material from other regions of Africa. Of course if I find something outstanding it will be featured on Afro7.net as well. 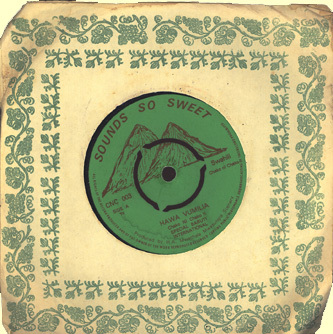 There are quite a lot of Kenyan pressings of West African material, especially music from Nigeria. Muzikifan: Do you find the interest is expanding, or is there a small circle of hard-core nuts (like me) willing to pay for 45s when there are a zillion MP3s floating around in cyberspace? Lavik: I find mp3 uninspiring myself, but today that is the way of getting the music out there. I decode them low so if people want better quality and fidelity, they have to get the original VINYL. There are a few collectors who seems do be destined to have certain labels, and some want all the tunes from particular groups. You also have the DJ crowd who want to satisfy a hungry western dance crowd. And the most surprising buying group is from Colombia, Barranquilla. There is big African music scene there and they are willing to pay big money for the right kind of Soukous breakdown. They have their own homemade sound systems called PICOS and they arrange parties with African music. Samy from AnalogAfrica wrote an interesting article about it. Muzikifan: There is immense variety in East African music and Kenya Special includes a wide range of style. How do you account for the narrow focus on Afro-Funk that has dominated the market for the last decade? Lavik: Funk sells in many ways, it's an easy music style to sell. It's danceable, it's catchy and so on ... that's mostly what DJ's are looking for. But it might not be the thing you want to put on when you're home chilling from a 9 hour work day. I think many people have been doing the funk thing for way too long and start looking beyond. Muzikifan: I see from your site you also handle Jazzaggression records. I presume there is a big jazz scene in Scandinavia as you have acts from Norway and Estonia on your label. What other kinds of music do you listen to? Lavik: That's my bedroom label I've been handling for some years. When not listening to African music I mostly listen to jazz, and there is a big jazz scene in Finland so that's a perfect fit!